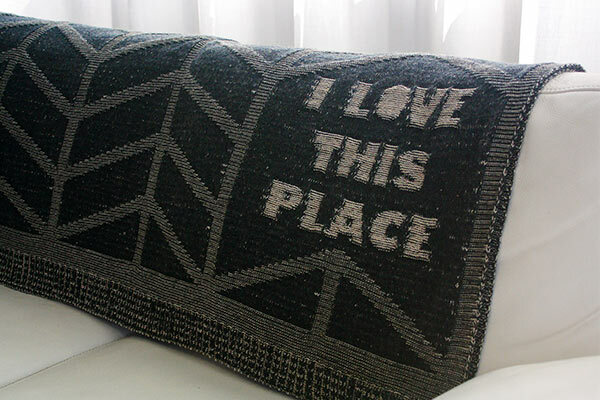 This heart-warming throw is the perfect statement piece for the places you love the most, whether it's your brand new apartment or favorite vacation spot. 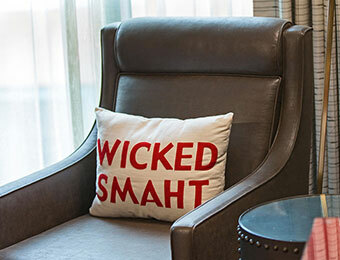 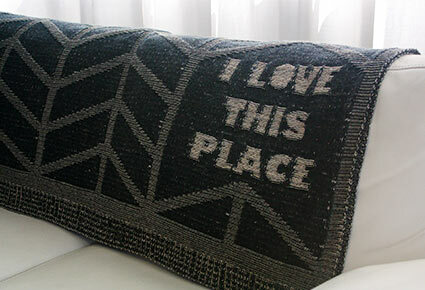 You'll want to immediately wrap yourself up in this super soft knit throw blanket featuring contemporary graphic elements, inviting texture, and a cute "I Love This Place" sentiment. 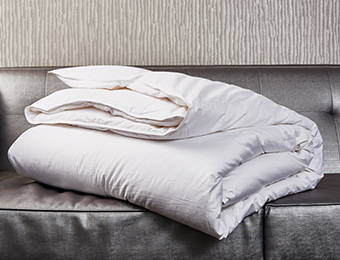 This throw is an ode to the simple joy of cuddling up on the sofa, and also makes a great housewarming gift!